The Last Supper installation view, The Arts Center, Corvallis, OR. Photo: Felicia Phillips. Thereâ€™s something refreshing about a project that dares to be unapologetically political. In many ways, the spirit late-20th century counterculture persists in the Pacific Northwest, and that old Drop City mentality remains rampant among artists who prefer to retreat to the imaginary as a cozy site of resistance. Corvallis-based painter Julie Green has opted to address the deeply flawed system of capital punishment head on. 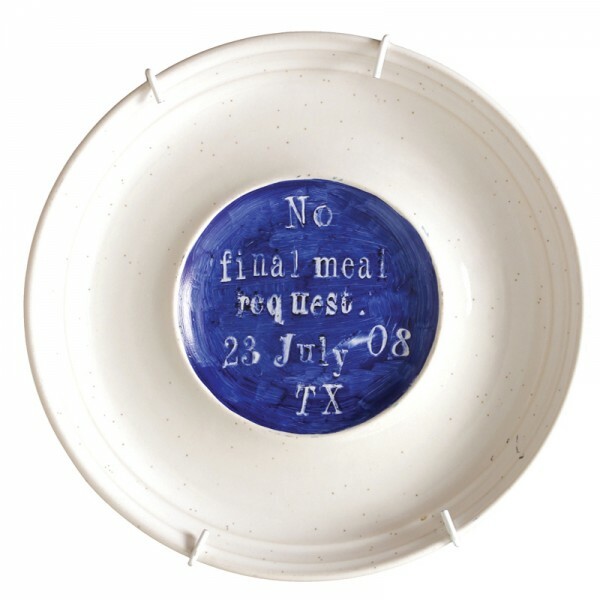 Her ongoing series, The Last Supper, has been a twelve-year pursuit to reveal the humanity on death row through intimate portraits of last meal requests painted on ceramic plates. 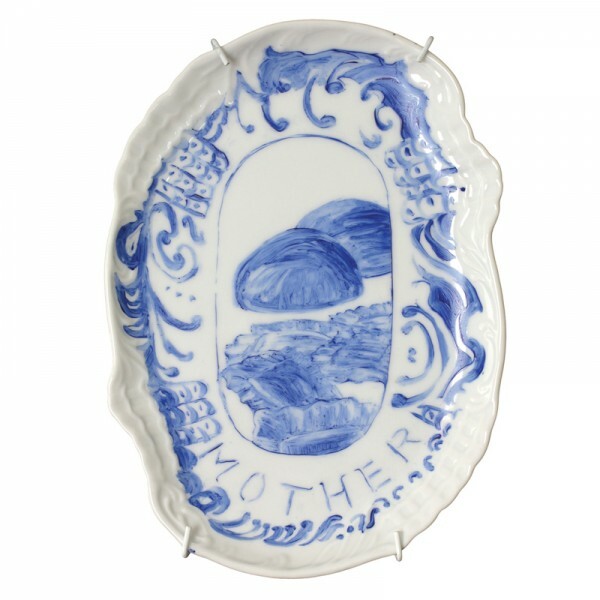 The plates, currently numbering 500, are a dissonant accumulation of lives lived and lost. 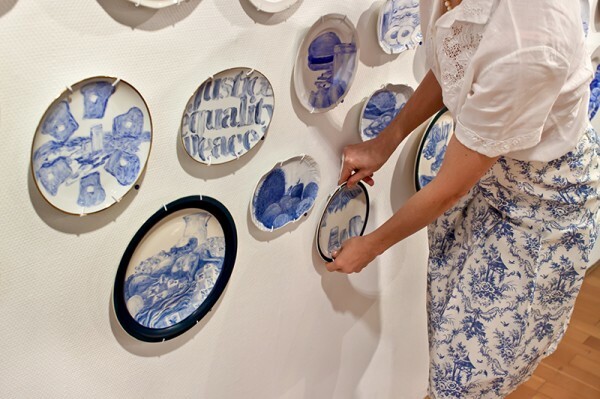 Displayed in clusters along the perimeter of The Arts Center, (Corvallis, OR), each constellation speaks to an ad hoc arrangement of family portraits, a domestic sensibility that is amplified ten-fold by the use of readymade tableware as canvas. Despite the gravity of the subject matter, there is a touch of whimsy to Greenâ€™s project. Her meticulously rendered pizza slices, honeybuns, and hamburgers are most often completed without any visual referent. Filtered through the artistâ€™s memory, the foods are imbued with an illustrative quality that borders on cartoony, speaking to the endearing texture of Maira Kalman rather than the inherent gloom of the memento mori. 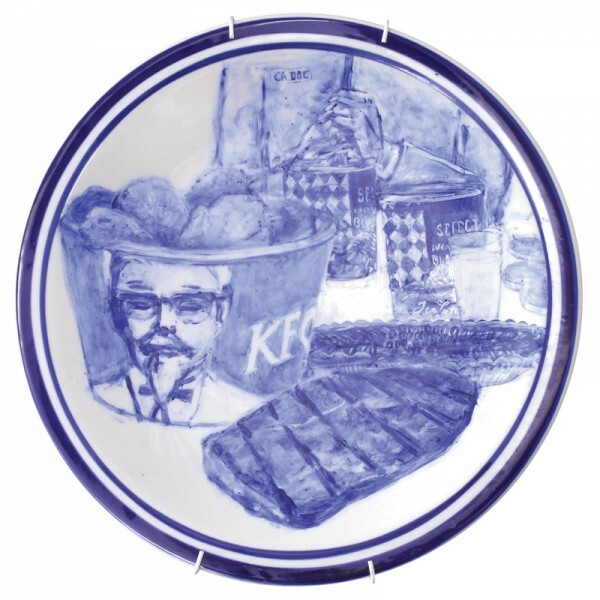 Further, each object in The Last Supper is painted in the tradition of blue-and-white china, a hue that is simultaneously absurd and significant, drawing from one of the most recognized traditions in ceramic worldwide, from Jingdezhen ware to Willowware. Despite her stylistic levity, Greenâ€™s project is compelling in its provocation of the limits of power and the nature of justice as it is dictated by the judiciary. Perhaps most importantly, The Last Supper seeks to locate the individual within the systemic, collapsing hegemonic ritual into everyday experience through the intimacy of a favorite meal served on white china. I spoke to Julie Green at The Art Center in Corvallis, Oregon, where her exhibition The Last Supper was on view through February 16. SMP: I feel as though Iâ€™m looking at a very systematized display resembling a geographic or celestial map of bodies. Does this installation represent a cartography of sorts? JG: Yes, completely. The installation of The Last Supper is alphabetical and chronological; so alphabetical by stateâ€”beginning with Alabamaâ€”and chronological by date of executionâ€”most recent first. Texas has been featured in The Arts Center installation, highlighted by the architecture of the space to be given the central location it deservesâ€¦ My process is to continuously check when executions occur using a death penalty information website. There are generally under 40-executions a year now. I make about 50-plates per year: say 40 recent executions and 10 historical. From the web, Iâ€™ll find the individualâ€™s name, Google himâ€”itâ€™s almost always a manâ€”and find out his last meal. The last meal is public record and with the Internet, I can access that information immediately. It wasnâ€™t this simple when I started thirteen years ago. Back then, I had to call the prisons and get faxes. I would say I was professor at University of Oklahoma doing research on capital punishmentâ€”I would never say that I was an artistâ€”that would be a red flag. And you never want to talk to the wardenâ€”I learned to ask for the Public Information Officerâ€”although, I have had some interesting conversations with wardens, particularly in Oklahoma and Arizona. SMP: Do you feel that you gain insight into the individuals by painting such intimate subject matter? JG: Theyâ€™re very personal menus. This is the whole reason I began the project: six tacos, six glazed doughnuts, and a cherry Coke. I thought: why six? Reading that menu humanized death row for me. As an organic gardener, a cook, and a person who loves and appreciates food, I considered the absurdity of placing all this emphasis on a meal that a person wouldnâ€™t even have time to digest. Food is sustenance, food is community, food is sharing ideas with friends and family, itâ€™s a celebration, itâ€™s joy, and even if itâ€™s eaten alone, itâ€™s still a ritual. I have much gratitude for the good food in my life, and this death row meal just stood in such contrast to that. Indiana 14 March 2001: German ravioli and chicken dumplings prepared by his mother and prison dietary staff. SMP: Thinking about the idea of the last meal, the practice seems so flagrantly, almost offensively, contrary to our cultural associations with food and meals, which are about the social function of coming together. JG: Exactly: the whole ritual. Take a look at this plate here: â€œIndiana. 14 March 2001. German ravioli and chicken dumplings prepared by his mother and dietary staff.â€ The mother got clearance into the prison to prepare that meal, which must have been such an intense experience. 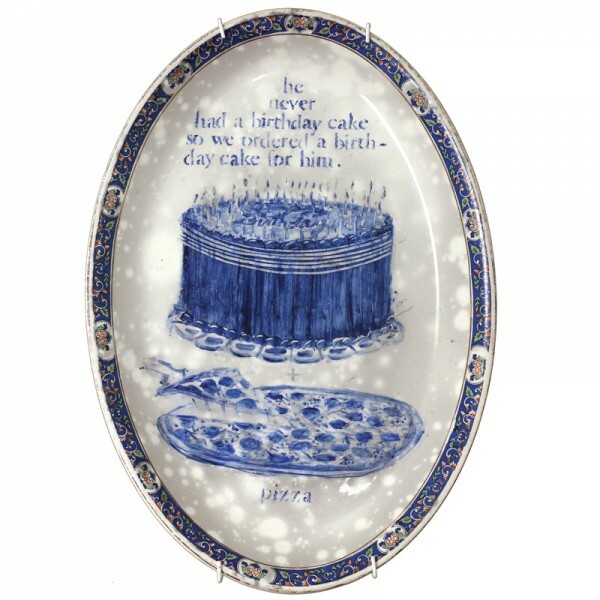 JG: This piece too: â€œHe never had a birthday cake, so we ordered a birthday cake for him.â€ This may be, for me, one of the most telling plates. I had a birthday cake every yearâ€”most of us didâ€”so on one hand, you have this positive reflection of family and the symbolic affect that food often has, or should have, particularly in the case of a last meal; and on the other hand, you have a instance that reflects very negatively on this individualâ€™s history surrounding family and food. 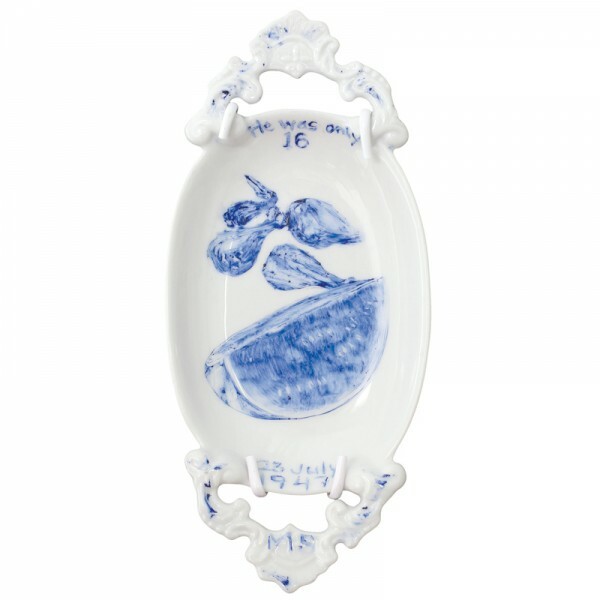 SMP: Food has always been a popular subject in art making, from still life to Fluxus. Why do you think there has been a real renewed interest and reinvestment in food within contemporary art practice? JG: We are a culture obsessed with food in positive and negative ways. We live in a time of luxury where, for most Americans, itâ€™s not about survival itâ€™s about choice. Thereâ€™s a lot of joy in food, and itâ€™s commonalityâ€”itâ€™s democratic. If we were to stand out on the street talking about food, itâ€™s like talking about the weatherâ€”everyone can relateâ€”we all have food and the weather in common in Oregon right now. The artist at home in Corvallis, Oregon. Photo: Ha Lam, Whole Foods Market. SMP: Do you have you own rituals involving food that play out in your everyday life? JG: Nothing but Iâ€™m afraid. Iâ€™ve had a slice of cinnamon-walnut toast with tahini, orange marmalade, nutritional yeast, and ground flax and sesame seeds, along with a cup of white tea every morning for breakfast for the past 12-13-years. SMP: Thatâ€™s interesting, that ritual started the same time as this project? JG: I guess, yeah. I have a thing for routine; I wear the same earrings and same cherry red Mac lipstick every day. Â This allows for less decision-making and facilitates getting the real work done. Mississippi 23 July 1947: Served fried chicken and watermelon (one of two meals on this date: age 16). SMP: I find that ritual can be a compelling way to bring together grand, socio-politically-charged myths with the stuff of everyday life, and the space of art making is a natural place for these two worlds to come together and play out. JG: Perhaps thatâ€™s what draws people to this projectâ€”thatâ€™s certainly what drew me to itâ€”this relationship to food, ritual, and memory embedded in larger issues relating to justice and ethics. SMP: Where does the final meal ritual come from? JG: Every country with capital punishment seems to have a final meal of some sort, [view Mats Bigert and Lars BergstrÃ¶m’s film, “The Last Supper,” for reference]. Much of our legacy of capital punishment comes from England. Thereâ€™s that whole ritual of the gallows were the prisoner is walked to the bars and everyone drinks together before the prisoner is publicly hanged. We have built upon that type of tradition and, along with that, thereâ€™s a morbid curiosity that compels public interest in final meals. I once asked a warden why the final meals are printed in newspapers and he said itâ€™s because the public wants to know. Iâ€™ve found that even highly educated people are surprisingly unformed when it comes to capital punishment practices in our country, to the point that theyâ€™re not aware that a death row sentence is more expensive than life without parole. When I began The Last Supper project, painted a few platesâ€”there was no plan to make this my lifeâ€™s work or anythingâ€”but when I got deeper into it and realized the extent to which this subject is marginalized politically and socially, I had to carry it on. Texas 23 July 2008: No final meal request. JG: At one point, I contacted prisons in the thirty-three states using capital punishment, and asked them about their prisonâ€™s ritual, and the response was: weâ€™ve always had it, itâ€™s a tradition, itâ€™s special, itâ€™s an effort to do something nice for the inmate. My take is that it alleviates guilt and is something positive for prison staff to focus on during the day of the execution. SMP: I have to say, that there is real comedyâ€”a touch of absurdityâ€”in your depictions of food. Itâ€™s blue, nothing is to scale, thereâ€™s so much emphasis placed on some objects and then little placed on others. What Iâ€™m saying is this is not your typical vanitasâ€”thereâ€™s a distinct lightness, and Iâ€™m curious about your aesthetic choice there. JG: George Carlin said, â€œThere is no blue food.â€ For one thing, Iâ€™m mono-vision, so I have no sense of space whatsoever and there is a natural awkwardness to my work. In painting, we translate 3D into 2D, but Iâ€™m 2D all the time. A friend once called my painting faux-naive, but no way: I am naive. Â I never wanted to paint realisticallyâ€”nature is already perfect and beautiful still life paintings exist. I am interested in the process of memory, and the early plates are painted without photographic references. I havenâ€™t eaten red meat since high school, so painting ribs from memory may cause them to turn out looking more like tubas or somethingâ€”thereâ€™s no way it can look right. Â As the project grew, and I wanted to differentiate salmon from catfish, and started looking at photo references and The Joy of Cooking illustrations; for example, I could have never painted that lobster from memory. California 17 January 2006: Had a last meal of buffalo steak, a bucket of KFC white-meat-only chicken, sugar-free pecan pie, sugar-free black walnut ice cream, Indian pan-fried bread and whole milk (ice cream was left out one hour to thaw, and turned into a milkshake by hand). SMP: Itâ€™s interesting knowing that these are filtered through your own sensory experience and memory of these foods. JG: Iâ€™m quite good at painting chocolate cakeâ€”I know chocolate cake. But, yes, I think thatâ€™s true. 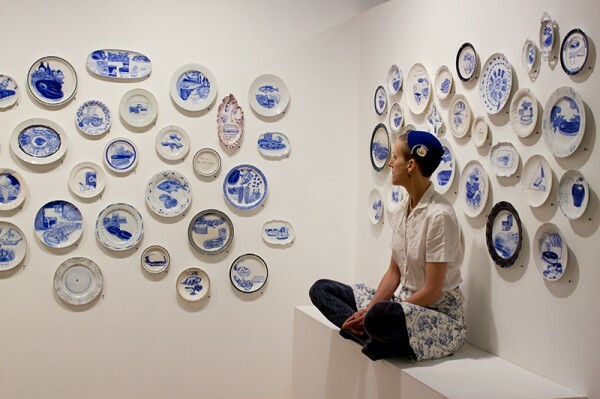 I often say that everything that we make is a self-portraitâ€”we canâ€™t get away from itâ€”I grew up with blue and white plates in a food family. My family was Midwestern, conservative, and Christian. As a kid, I was pro-capital punishment and pro-Nixon. These days my mom shares my opposition to capital punishment, so I like to say: if you can change your mom then you can change the world. My own food experience definitely forms how each plate is painted. You canâ€™t get away from knowing barbeque ribs and chocolate cake. 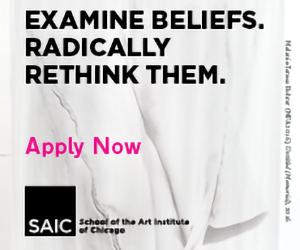 SMP: Do you feel that thereâ€™s something in the traditions and material-associations of the decorative arts and craft-based media that allows you to approach this project differently than, say, if you were painting last meals on canvas? JG: I couldnâ€™t work on final meals all the time. Half of each studio year is spent on lighter projects, such as personal narratives in egg tempera. A few months back, for the first time I combined narrative painting on to functional dishes. Compared to centuries of tempera and oil painting traditions, this process feels wide open and exciting. Texas 22 October 2001: 1 bag of assorted Jolly Ranchers. JG: I was born in Japan and raised among Midwestern quiltersâ€”people with a real appreciation for craft. Growing up, my family had beautiful Johnson Brothers and Noritake china, Japanese prints, quilts, and strange objects handmade by my male relatives, who were carpenters. Down the street, one of my neighbors made things out of ears of corn; Iâ€™m talking life sized Abe Lincoln and Paul Bunyan figures being the first installation art I ever saw. Â (You wouldnâ€™t believe how many colors of corn there are.) Anyway, I didnâ€™t have much exposure to â€œhighâ€ art until I went to The University of Kansas. Â At the time, there was this recurrent conversation about what you â€œcould and couldnâ€™t do as an artist,â€ and even then, I thought it was ridiculousâ€¦ People respond to this work because of the political content. They would respond, Iâ€™m sure, if these were small paintings on panel, but using plates as the surfaces for meals just makes sense. SMP: You do maintain a distinctly painterly quality, not only stylistically, but also in your choice to display them on a wall versus on a large table or in a vitrine. 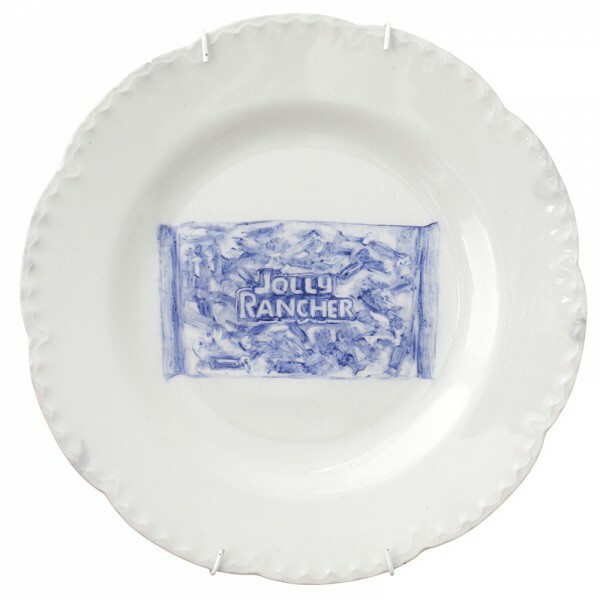 Youâ€™re definitely using the plate as a canvas and, in a way, stripping away the objectness of the plate. JG: The Last Supper has been exhibited 24 times. Each installation is unique, depending on the space. These days, wall mounted has the biggest punch. Whatever your stance on capital punishment, there is no denying there are a lot of plates. 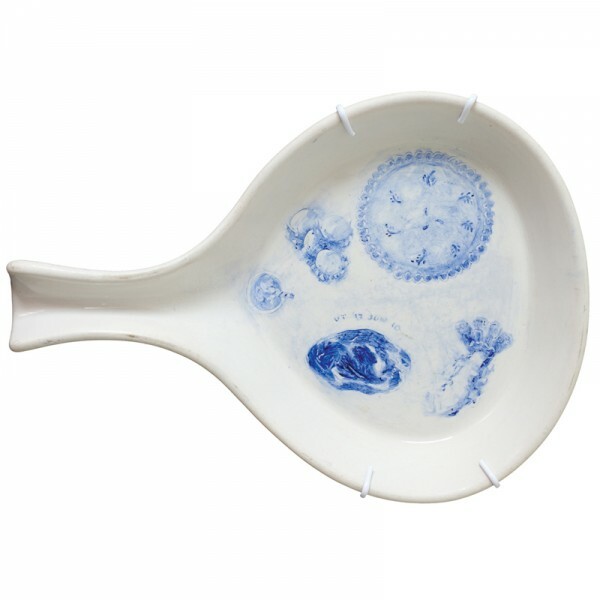 The ceramic dishes are all white, but vary in material, weight, size, and decoration. They speak to a collection of individuals within a system, of course, alluding to the institution of death row. Theyâ€™re almost like portraits, and perhaps are more confrontational hung on the wall. Installation view with the artist, The Art Center, Corvallis, OR. Photo: Felicia Phillips. JG: I study with Toni Acock, who is my technical adviser. She taught me mineral painting, and she fires every plate. Â But, I break the rules for paint application, preferring thicker, frosting-like application. Part of the reason why Iâ€™ve taken to this project is because I allow myself to experimentâ€”I donâ€™t have any technical or traditional baggage hanging over my head. SMP: Are they always displayed as a complete group? It seems as though the installation needs the to express a certain volume and weightâ€”almost like a Felix Gonzales Torresâ€”where you need the pile for the gravity of the piece to come across. 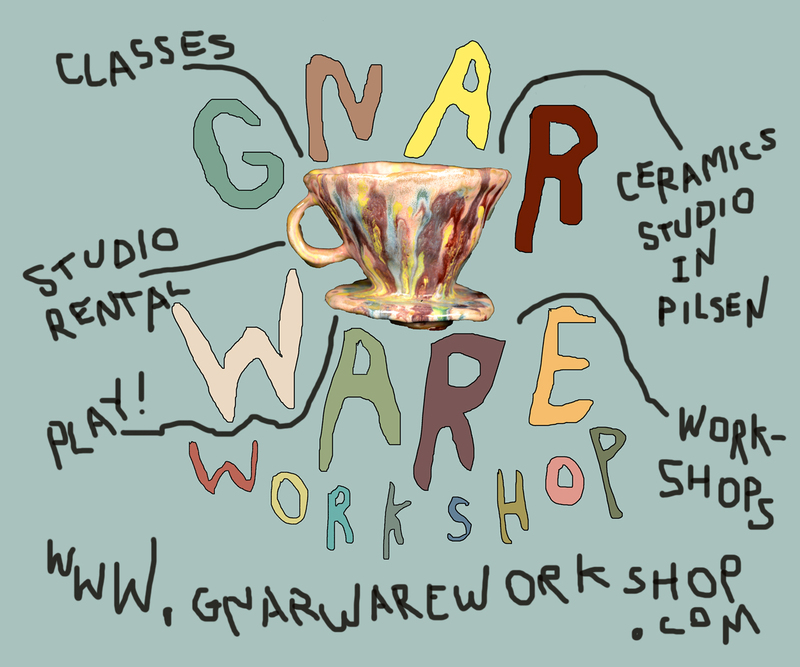 JG: Â Â Last year, when nearing plate number 500, I contacted the Art Center in Corvallis. Itâ€™s an ideal venue, a former church here in the town where we live. In the past, small groupings of the plates have been shownâ€”itâ€™s an expensive undertaking for a venue to ship 500-ceramic plates across the countryâ€”but I donâ€™t separate the plates anymore. I do want people to see them and, recently, I made a facsimile set of 160 Texas paper plates. The paper plates have just come back from Holland and are heading to Texas in March. I havenâ€™t sold a final meal plateâ€”theyâ€™re not for sale. These days Iâ€™m looking for a permanent home to donate The Last Supper, a museum or institution to provide the public consistent access. Itâ€™s time for them to have a home other than my basement! 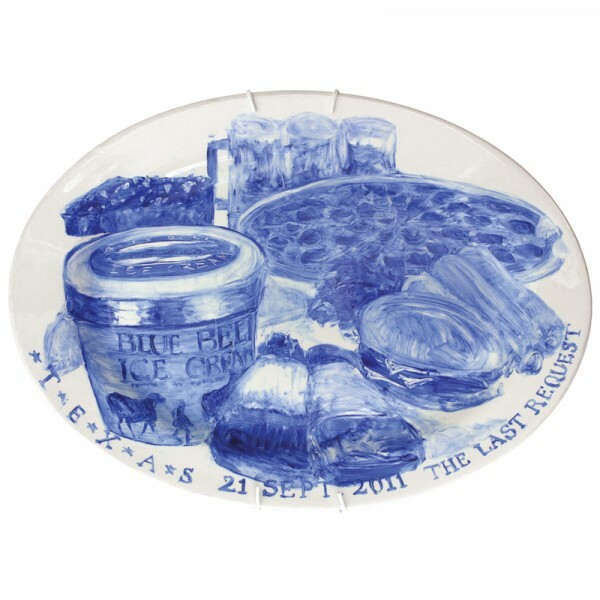 The Last Supper: 500 plates will be exhibited at The Jordan Schnitzer Museum of Art, (Eugene, OR), in March, and travel to The Art Gym, (Portland, OR), in April, 2013. Julie Green was born in Japan in 1961. 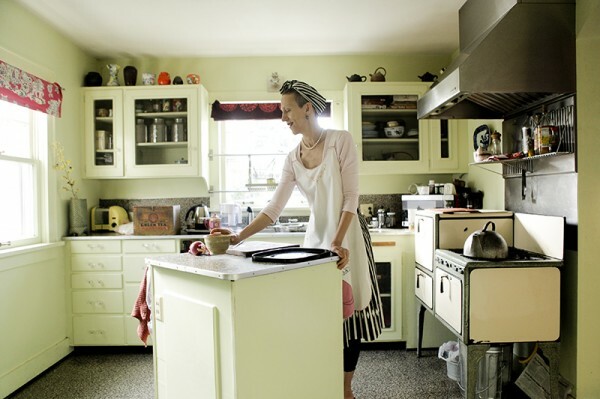 An Associate Professor at Oregon State University, she lives in the Willamette Valley with her husband, quilter Clay Lohmann, and their small cat, Mini. Â Half of each year, usually winter months, is spent on The Last Supper. In summer, Green paints personal narratives. Her egg tempera is included the 7th edition of A World of Art published by Prentice Hall. Green has had twenty-seven solo exhibitions in the U.S. and abroad, been featured in The New York Times, a Whole Foods mini-documentary, National Public Radio, Ceramics Monthly and Gastronomica, and recently received the Joan Mitchell Foundation Grant for Painters and Sculptors.